18" Fire Pits use a standard propane tank. Fire Pits ship with a Natural Gas Conversion Kit (see instructions). 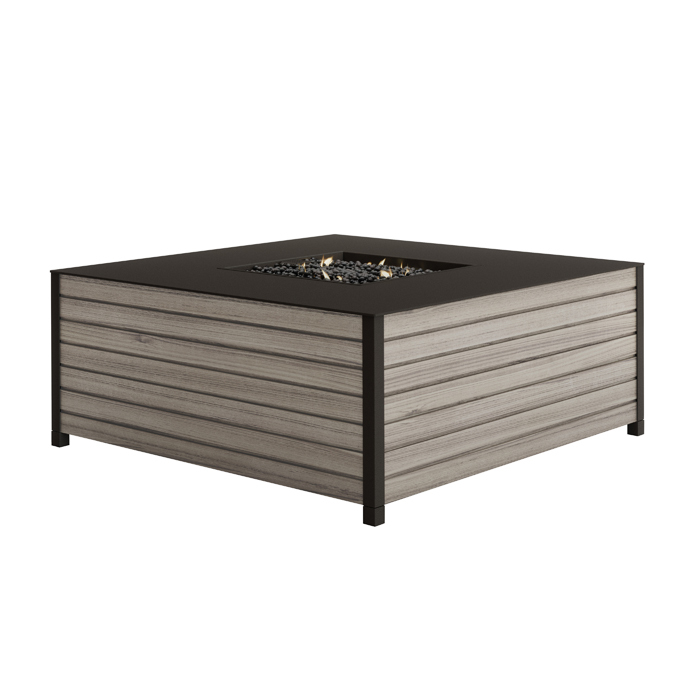 Low-profile square Camino fire pit with built-in ignitor brings a touch of timeless mid-century mod-ern look to your outdoor space. Its simplistic style pairs well with contemporary, transitional and modern furniture designs.